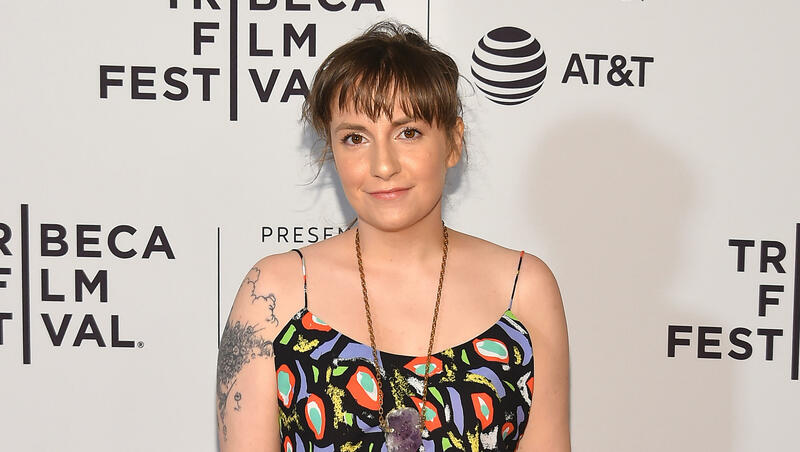 Lena Dunham has issued an open letter of apology to Aurora Perrineau a year after the "Girls" creator came under fire for defending her friend, "Girls" writer Murray Miller, who Perrineau had accused of sexual assault. At the time, Dunham, who had worked with Miller for years, said she believed the accusation was false. In November 2017, Perrineau told police in Los Angeles that Miller had sexually assaulted her in 2012 when she was 17 years old. An attorney for Miller said at the time he "categorically and vehemently" denied the accusations. Dunham came to Miller's defense last year but later apologized. Now she is doubling down with a guest column in The Hollywood Reporter. She opened the essay by talking about the pain women have experienced over the past year reliving trauma as the #MeToo movement grew, and wrote she "did something inexcusable." She said she did not know that she would contribute to someone else's pain. Dunham wrote, "I made a terrible mistake. When someone I knew, someone I had loved as a brother, was accused, I did something inexcusable: I publicly spoke up in his defense. There are few acts I could ever regret more in this life. I didn't have the 'insider information' I claimed but rather blind faith in a story that kept slipping and changing and revealed itself to mean nothing at all. I wanted to feel my workplace and my world were safe, untouched by the outside world (a privilege in and of itself, the privilege of ignoring what hasn't hurt you) and I claimed that safety at cost to someone else, someone very special. "To Aurora: You have been on my mind and in my heart every day this year. I love you. I will always love you. I will always work to right that wrong. In that way, you have made me a better woman and a better feminist. You shouldn't have been given that job in addition to your other burdens, but here we are, and here I am asking: How do we move forward? Not just you and I but all of us, living in the gray space between admission and vindication." Dunham also talked about her own experiences with sexual assault as she acknowledged such incidents are not isolated cases for women overall. Dunham praised Perrineau and said, "Aurora — your bravery, openness, forgiveness, dignity and grace in the face of legal proceedings and endless questioning and in the face of my statement has been astounding. You've been a model of stoicism, all the while reminding other women that their assault experiences are theirs to process as they wish (with noise, with silence, with rage — it's all OK). You have generously allowed me to speak about your many virtues here and tell these readers that you are moving on as a woman and as an artist. You have inspired me to do the same, and I know I'm not alone." She also expressed her admiration for Perrineau's mother, Brittany Perrineau. In November 2017, Dunham released a statement about Perrineau's accusations and said, "During the windfall of deeply necessary accusations over the last few months in Hollywood, we have been thrilled to see so many women's voices heard and dark experiences in this industry justified. It's a hugely important time of change and, like every feminist in Hollywood and beyond, we celebrate. But during every time of change there are also incidences of the culture, in its enthusiasm and zeal, taking down the wrong targets. We believe, having worked closely with him for more than half a decade, that this is the case with Murray Miller. While our first instinct is to listen to every woman's story, our insider knowledge of Murray's situation makes us confident that sadly this accusation is one of the 3 percent of assault cases that are misreported every year. It is a true shame to add to that number, as outside of Hollywood women still struggle to be believed. We stand by Murray and this is all we'll be saying about this issue." In January, Tessa Thompson made headlines after she responded to a comment on Instagram. When an Instagram user commented on a Time's Up photo Thompson posted and asked the actress why Dunham was in the photo, the "Thor" star responded frankly. "Lena was not anywhere present in our group during the countless hours of work for the last two months. We hosted an open house for actresses for red carpet messaging and Lena presence was a surprise to us all," Thompson said. "This is a time of reckoning. And for many, a re-education. So many women also have real work to do. I'm afraid it's too nuanced a conversation to have on this platform. But I hear you, and know that your thoughts and words are not lost on me. It's been discussed." Later, Thompson deleted the entire post. Thompson later tweeted saying her first statement was "not meant as an apology, as much as an attempt to re-center the conversation around the work." She continued, "The truth remains: Many women, particularly women of color, don't feel safe and seen. To those women, like Aurora Perrineau - I see you. I am with you. This must be clear."